There is inherent danger when doing any type of work involving heights. 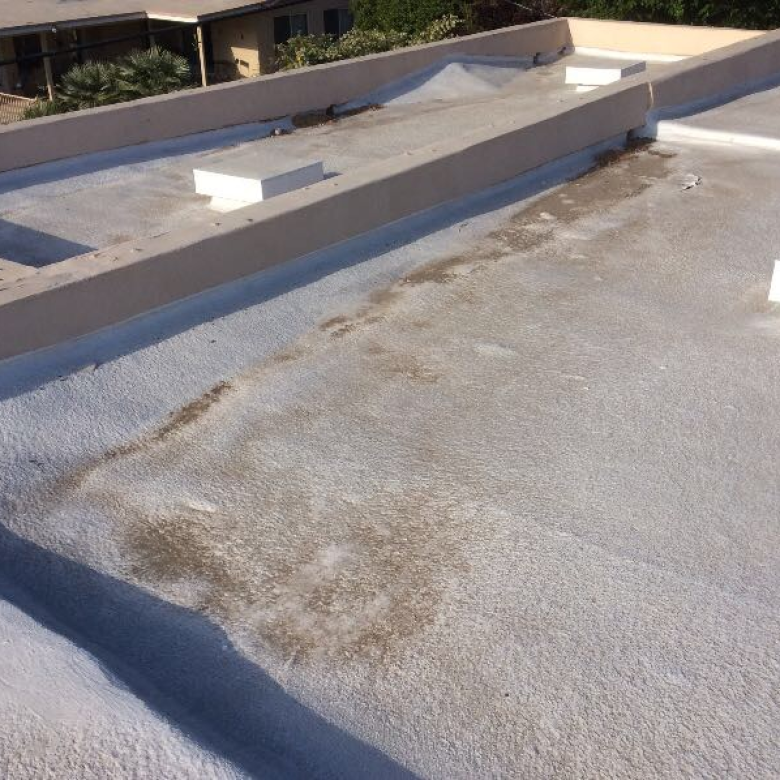 Roof cleaning, construction and repair are some of the most hazardous jobs on that list. 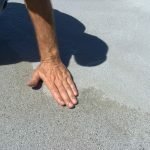 Falls are the most common type of injury related to working on flat roofs. Many of these accidents are prevented if proper safety procedures are in place and adhered to. These numbers are scary, but minimizing your risks while working on a flat roof shouldn’t be. Learning proper safety procedures AND following them can reduce the occurrences of hazardous situations. Falls from ladders or off of the roof edge are the most common hazards. Weakened spots of the roof material itself and openings on the roof are also known dangers. Skylights, weak metal plates, painted lights and windows are all hazards that are hard to see. Any of these can become a hazard if stepped on or into. Access openings sometimes aren’t well-marked. They may just be an open hole in the roof and won’t have handrails or guard rails for entry and exit. Weakened roof areas are prone to collapse. Some roofs are incapable of sustaining the weight of a person or equipment. Other examples are a spot waiting for repair or damaged places where objects have fallen. Heat exhaustion is a major concern in warmer climates. Being up on the roof in extreme temperatures and direct sunlight is at times life threatening. Overhead or dangling electrical wires pose a constant threat. This is especially dangerous when moving ladders around the area. Communication, training and supervision are important tools in keeping everyone safe. Make sure all workers have the necessary safety training and are on the same page at the job site. Follow safety instructions and procedures at all times. It only takes that one lazy moment for a tragedy to strike. Wear the proper, approved safety gear. Safety harnesses are a critical component to keep individuals on top of the roof – even when it is a flat one. Proper clothing is a must. Rubber soled shoes with good grip, traction and protection are key. Don’t wear baggy clothes that can catch on protruding objects on the roof and cause you to stumble. On the other hand, you’ll want to have ease of movement so don’t dress in articles that are too tight. Stay hydrated and take regular breaks when it is hot. If possible, get off the roof and into a shady area. Dehydrated and dizzy from the heat are a bad combination when working on a rooftop. Site preparation and cleanup are critical and ongoing tasks that are necessary for safety. Keep the area clean with all known hazards marked in a clear manner. Removing any tripping dangers makes for a much safer environment. There are several types of roof access used today. Ladders, scaffolding, towers and roof hatches are the most common. Know how to use each type in the correct manner. Always check each individual unit before use to ensure it is in proper, safe working order. Use proper tools for the task at hand. Don’t try to “make do” with something that isn’t designed for the job you’re doing. This is especially important when it comes to ladders. Learn the proper use of ladders. Be sure you have the correct ladder length and height for the job. Know how to set up and install the ladder in a safe and secure manner before using it. Always be alert to electrical lines overhead. Check the ladder over to ensure it has no weak spots or unsafe sections. Using a “spotter” when you get on the ladder is a good and recommended practice to follow. Use a hoist to bring materials to the roof. Don’t carry things up the ladder by hand. Keep both hands on that ladder in front of your face. Erect barriers around the edge of the roof. If a physical barrier is impossible, use some type of visual reminder such as yellow caution tape. 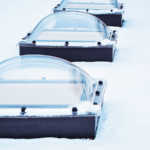 Seal or block any type of openings on the roof such as skylights or vents. Anything that a person may step on or fall into needs clear marking or blocking off completely. Treat all roofs as fragile and unable to support your weight until proven otherwise. Even if one area does hold you, the area just one foot over might not. Using common sense is the smartest way to ensure your safety and the safety of those around you. 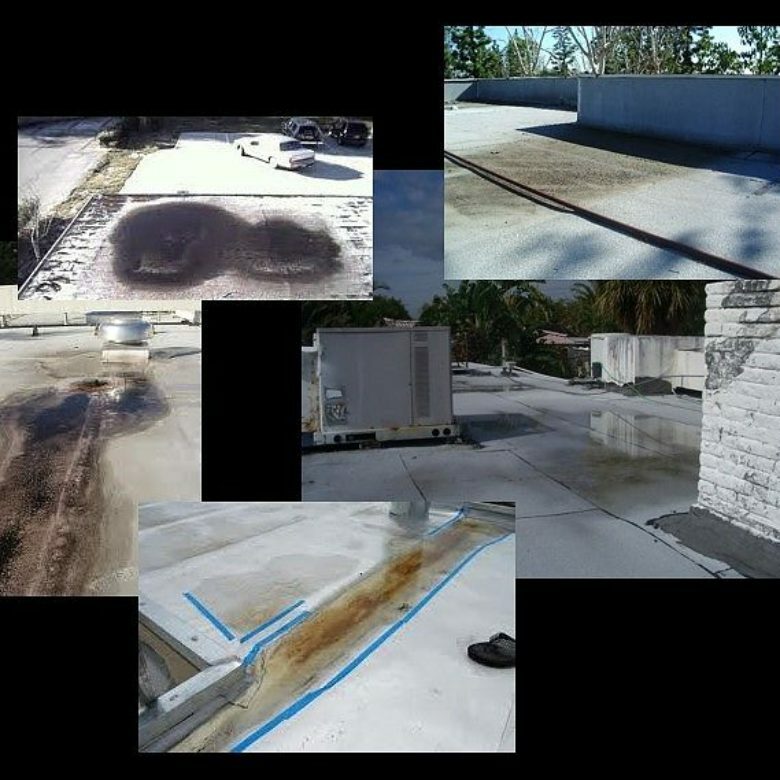 Because RoofSlope uses cost-effective solutions to repair and correct ponding on flat roofs, it is essential to know of ways to prevent accidents while working on these. For more information about RoofSlope please feel free to contact us anytime.